Categorized as a catastrophic Category 5 Hurricane, 71,000 Dominica residents were left without electricity, homes, and communication to the outside world. Today, a once lively city full of culture, music, and history is left with the debris of mother nature's wrath, and minimal resources to rebuild. Working with clients in the Caribbean since 2006, Mobilearth’s team is deeply saddened by the hardship that many longstanding clients and friends, like the National Bank of Dominica, have experienced. These clients are considered to be leaders in mobile banking in areas where land lines are not prevalent in homes and the internet is not widely available either. With help from Rotary groups, they worked together to collect needed supplies. Last week a shipping container was sent to the Dominica full of blankets, flashlights and batteries, first aid supplies, new t-shirts and shorts for all ages, hygiene items, school supplies, teacher resources, household linen, and tools for rebuilding homes. Committed to meeting the banking needs of people in the Caribbean, Mobilearth has led way in offering technology enhancements to assist people living in the Caribbean. They have revolutionized the way in which citizens can pay bills by allowing them to pay via text message. Mobilearth has also extended the reach of bank branches so they can service customers who face constraints that make it difficult, and at times even impossible, to make it to the bank. Citizens can now even send money to friends and family by way of online banking features such petty cash ordering, secure messaging, draft orders, and cancellation of bank cards. Until recently, this was not common and still isn’t available at many financial institutions in the Caribbean. 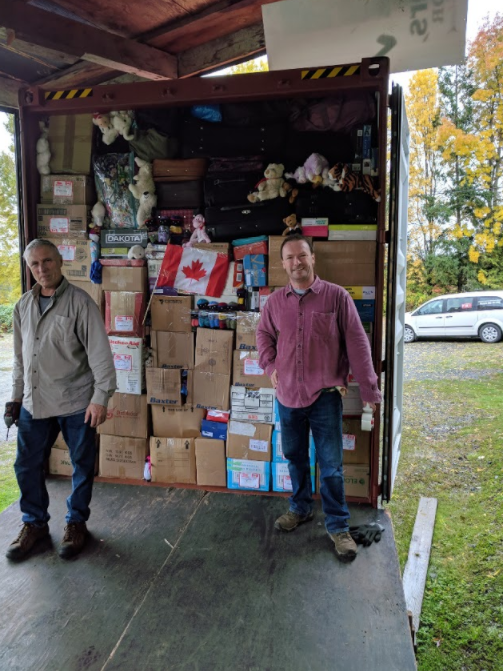 Disaster Aid Canada continues to collect funds and supplies to be sent down to people affected by the hurricanes. Please reach out to them if you are looking to contribute. Needed items include blankets, flashlights and batteries, first aid supplies, new t-shirts and shorts (for all ages); garden tools, hand tools for rebuilding, hygiene items, school supplies, teacher resources, household linen. You can donate and learn more at: http://www.disasteraid.ca/.